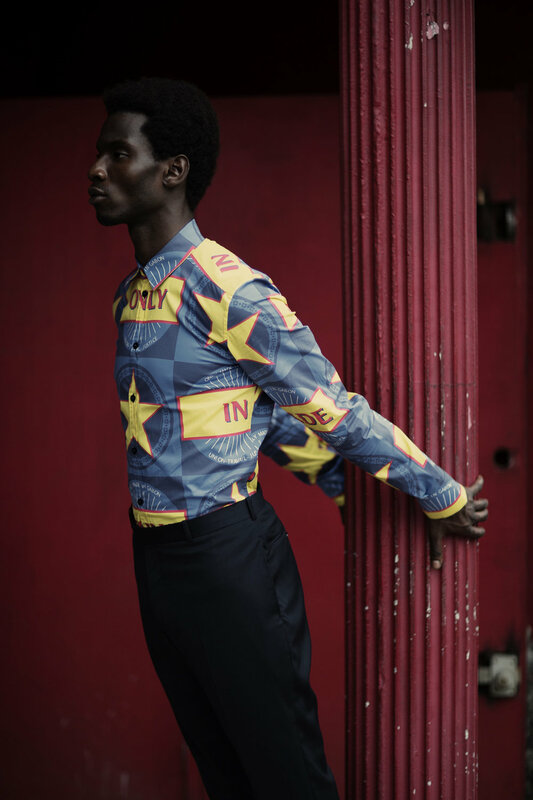 Born in Brazzaville, raised in Libreville, educated in Paris and showing his collections in New York, Teddy Ondo Ella is a true citizen of the world. And that’s exactly who his eponymous fashion line is for - the modern man who embraces style “through the lens of African elegance”. Ondo Ella got is first taste of fashion in the Gabonese capital where his mother had a fashion store called Teddy Boutique. While in Paris he became a respected hip hop artist known as Jewel and upon returning home he opened a trainer spot, The Sneaker Club, in 2004, where he also sold his first line of T-shirts. More recently he launched his streetwear line, Only Made In Gabon, and for SS18 he debuted his namesake luxury label. Ondo Ella’s key look is an update on the abacos, which is short for ‘A bas le costume’ (down with the suit), a design invented in the 70s as an anti colonialist statement boasting short sleeves and a high collar – no tie required. His take on this suit narrows the usually loose proportions to offer a slick tailored ensemble. These are worn with silk shirts, wrappers, slim trousers and sporty jackets covered in prints inspired by Gabonese nature and heritage. From florals and stripes to stars and checks, and with nods to N’gil masks, afro picks and citrus fruit, these are confident clothes to walk tall in. Just add a military-style beret and a touch of insouciance and the night belongs to you.